What are you? Are you a Republican because you are conservative? Are you aligned with liberal causes because you are a Democrat? Which came first? Your party affiliation or your conservative ideology? Are you a liberal, by nature, and, therefore a Democrat? Where did your socio-political philosophy come from in the first place? Was it inherited from your parents or your life experience? Are you more of a liberal than you are a Democrat? Are you more of a conservative than a Republican? Is it even possible to separate liberalism from being a Democrat or conservatism from being a Republican? 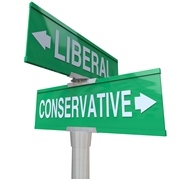 Could you be a conservative Democrat or a liberal Republican? These questions have been on my mind for a long time. I ask them because public policy debates have confused different philosophies into an amalgam of political agendas, and that is leading us down the road toward ideological meaninglessness. The differences are crucial, however. Conservatism and the Republican Party are separate concepts. The same is true of liberalism and Democrats. While, today, each party holds those principles close to their heart and clearly we predominately consider them to be exclusive to each, the historical journey is very different and must be examined if we are to ever find common ground. 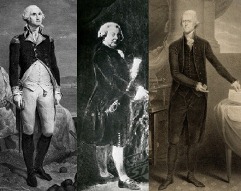 In the beginning of our country we had the Federalists that included Washington and Adams, and the party of Jefferson who were Democrat-Republicans. Federalism, it should be noted, wasn’t really a political party, but a philosophy that believed in strong central government along with the promotion of commerce and industry. The Federalists became Whigs who evolved into the Republican Party. The Democrat-Republicans, who today would be considered Libertarians, became strictly Democrats. The original Democrats, formed by Andrew Jackson, coerced the US into using its power in foreign affairs when American interests were threatened, but in economic and social policy they stressed the responsibility of federal government to act cautiously, if at all. It was Democrats in the early 19th century who argued that the national government should do nothing the states could do for themselves, and that drilled down into localities believing local government better served its people than state government. And in the cracks of our party histories we’ve seen the National Republicans who became the Free Soil Party which rose to vehemently oppose the spread of slavery. 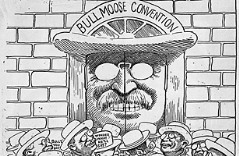 In time they gave way to the People’s Party which eventually became the Progressive (or Bull Moose) Party of Republican Teddy Roosevelt who fought for social reforms and was opposed to excessive corporate power. Political parties and socio-political philosophies do not share continuous and consistent histories and one need only to go back 150 years to the creation of the modern Republican Party to realize that Republicans embraced progressivism in their purpose to end slavery, while, in fact, it was Democrats holding on to the conservative status quo. I offer this with the hope that, perhaps, some of the vitriol in our disagreements could be eliminated. One side rarely speaks of the other, be it Republicans concerning Democrats or Liberals with regard to Conservatives, without an angry tone or sarcastic dismissal of all they have brought to the policy table. Difficult as it may be to accept, or even comprehend….Republicans are responsible for much of our country’s progressive movements that many Republicans hold in contempt today. And Democrats have in our history fought against some of the social reforms that they now embrace. So…let’s get over ourselves. Our ideological history isn’t a straight line from the cause of the Revolution to the cause of our Revulsion today. You must be <a href="http://garyhasissues.com/wp-login.php?redirect_to=http%3A%2F%2Fgaryhasissues.com%2F2015%2F01%2Fi-am-he-as-you-are-he-as-you-are-me-and-we-are-all-together%2F">logged in</a> to post a comment.